Finding a heating and cooling company in New Brighton that you trust can be tough. If you’re in an emergency situation, you may sacrifice quality customer service for responsiveness without knowing it. That’s why it’s important to have a strong relationship with a heating and cooling company. Then, when an emergency arises, you’ll already have the phone number of a reliable team. Write down or store 651-767-2737 today. 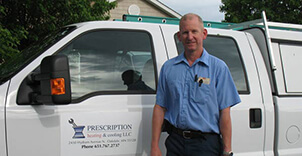 Prescription Heating & Cooling should be your first and only call! New Brighton residents, like residents in the rest of Minnesota, are used to extreme weather. It can get hot in the summer and downright frigid in the winter. Air conditioning units, furnaces, heaters and HVAC equipment will all need a little TLC over the years. It’s unavoidable! Since heating and cooling equipment is so vital to staying comfortable throughout the year, it’s important to have routine maintenance performed. A checkup every year, or every couple of years, can save you a lot of hassle in the long run. Have our heating and cooling company come out and inspect your units as the seasons change. 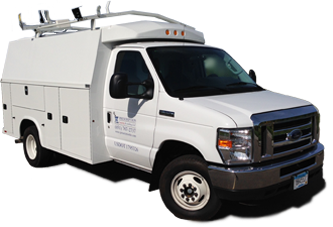 Even with all the preventative maintenance, issues will arise and emergencies will happen. Equipment gets old and wears out at some point. 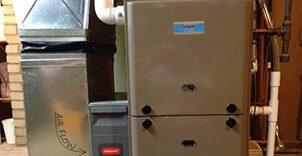 When it does, our heating and cooling company can install a new unit for you. We have a wide variety of brands and models. We’ll help you find the perfect piece of equipment for your home so you can stay comfortable. Contact our Heating and Cooling Company Near New Brighton Today! If you’re looking for a heating and cooling company that serves New Brighton, contact us today by calling 651-767-2737 or Contact us Here.